For many years, Bible Windows was the primary program I used for doing my biblical research. It was mainly a one-person operation run by the very capable John Baima. Under pressure from Microsoft (who claimed that every bit of software that had "window" as part of its title was under their control), Bible Windows was renamed Bibloi. 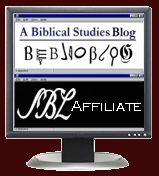 I was still using Bibloi 8.0 up until about 6 years ago when I started using the more comprehensive programs from BibleWorks and Logos. I had noted occasionally that Bibloi was still available, but it seemed to have been orphanned. I just received an email from Silver Mountain Software, however, indicating that they have updated the web site and offer immediate downloading as a delivery option, so maybe there is still life in this Bible software. Its Silver Fonts (SGreek and R/SHebrew) were an early standard for Greek and Hebrew fonts. (Still available as shareware.) It now is fully unicode compliant (using Silver Humana which includes Greek, Hebrew, and Coptic) and comes with a converter to go back/forth between the font encodings. It was always fast, both in terms of starting the program and conducting searches. It includes only a few English versions--NRSV, KJV, GWT, and a few others--but it does allow for importing all sorts of other texts from the Unbound Bible or the Online Bible or other beta code or plain text files. It uses the Analytical Greek NT as its base for the NT and links to the related Analytical Lexicon of the GNT as well as Louw-Nida. It was one of the first to link into Internet resources including the Perseus web site. It also provides links into Logos resources. It also does a nice job with its interlinear display. Silver Mountain also sells the Workplace Pack which I believe is still the best way to view and search the TLG and PHI CD-ROMs. For a solid set of biblical texts and resources that can perform all the basic search and study tasks, Bibloi 8.0 is still a good value at only $95.